New York, N.Y., June 29th, 2017 – Chris Jones, Durante Rentals Co-Founder and CFO, was honored with the 2017 Small Market Companies: Thinking Big Award at the 2017 CFO Innovation Conference. The awards ceremony and dinner were held before hundreds of executives at the New Jersey Performing Arts Center and honored some of the sharpest CFO minds in the country. CFO’s received recognition in fourteen CFO-focused categories with finalists and award recipients selected by an independent panel of judges. The Thinking Big Award celebrates the CFO who has overcome the small company mind-set, has instilled a sophisticated management style into the company, and has inspired leadership, employees, and partners to grow and succeed despite limited resources and against larger and more formidable competitors. Chris holds a degree from the College of New Jersey in Business Administration and Accounting. 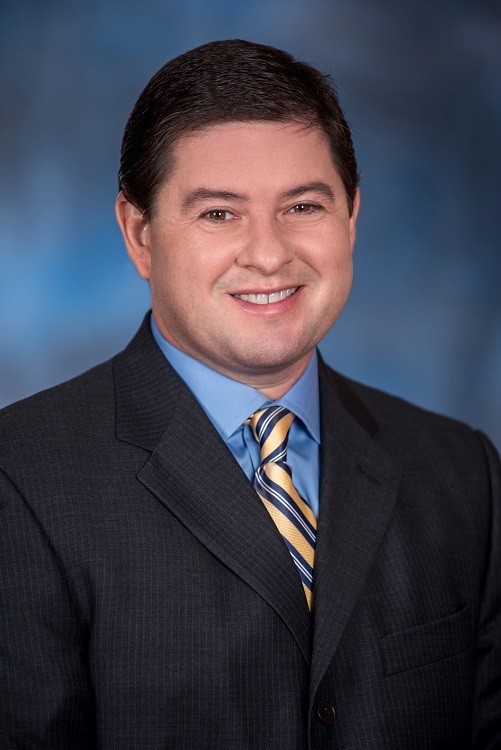 His career journey began when he founded Progressive Solutions, an accounting and consulting firm that specialized in assisting start-ups and distressed companies. As the leading consulting CFO to over thirty accounts, he was instrumental in their progression to healthy and profitable businesses. Chris eventually sold the company paving the way to his partnership in Durante Rentals. Chris teaches and competes in Judo and has trained with the National Teams of the USA, Barbados, and Argentina. As a soccer coach, he led his team to an undefeated season. He teaches his “Meditation for Professionals” class in NYC and Westchester and is a featured speaker on Western Buddhism. His students learn the mental and physical benefits for health while also using meditation to find their creative centers, peak performance, and to understand the discursive emotions that prevent most people from achieving their dreams. Founded in 2009 by three entrepreneurs, Durante Rentals is the most dependable name in construction equipment and tool rentals in the New York Tri-State area. Construction professionals look to Durante for all their equipment needs including excavators, skid steers, light towers, generators, compressors, forklifts, air tools, boom lifts and more. Now with eight convenient locations and counting, their geographic footprint continues to expand while servicing all five boroughs of NYC, Westchester, Rockland and Putnam Counties, Connecticut and New Jersey. For more information about Durante Rentals, visit www.DuranteRentals.com. 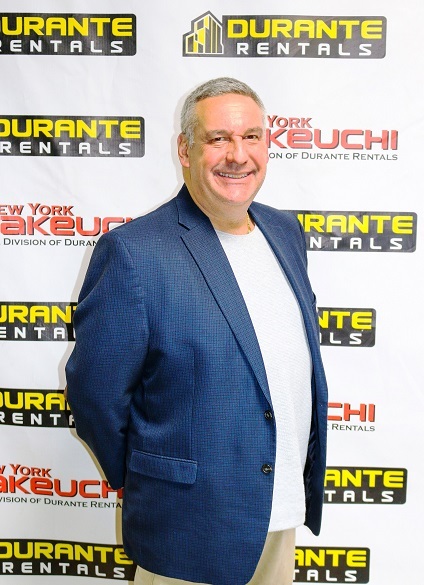 New York, N.Y., June 13th, 2017 – Durante Rentals, a four-time INC 5000 winner, has announced the hiring of Mitch Garfinkel to a senior sales position with the company. Mitch brings almost four decades of construction equipment sales experience to the role, where he will be instrumental in expanding Durante’s new and used sales divisions, as well Durante Rentals future stages of expansion. “Mitch brings his dynamic personality and countless years of experience to the position. We are thrilled to have him on the team as Durante Rentals continues to grow,” said Durante Rentals Co-Founder, Anthony Durante. Mitch’s unique salesmanship and in-depth understanding of construction equipment is unmatched amongst his peers. In the early eighties, Mitch got his first opportunity in the construction industry as a sales rep for a line of diamond blade products. His career took off soon thereafter and within a couple of years he found success selling skid steers, telehandlers, and a variety of other construction equipment. Mitch eventually moved to a new position as a manufacturer’s sales representative. Along the way, he introduced new, cutting-edge sales processes that are still a staple within the industry to this day. In 1991, he opened his own wholesale, retail, and export equipment company supplying equipment to customers all over the country. After many successful years in business, a new opportunity presented itself allowing him to build a thriving New Jersey-based equipment dealership from the ground up. Mitch is an avid tennis player, music lover and dedicated family man to Catherine, his wife of 36 years, and their two sons, Ian and Zachary. Mitch’s home-base of operations will be the Flushing, Queens office and he can be reached for inquiries at 718-697-6969 Ext. 449 and via email at mgarfinkel@duranterentals.com. 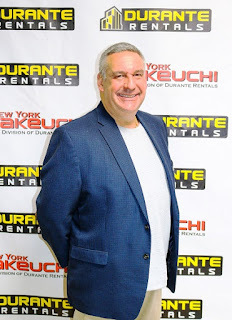 Founded in 2009 by three entrepreneurs, Durante Rentals is the most dependable name in construction equipment and tool rentals in the New York Tri-State area. Construction professionals look to Durante for all their equipment needs including excavators, skid steers, light towers, generators, compressors, forklifts, air tools, boom lifts and more. Now with seven convenient locations and counting, their geographic footprint continues to expand while servicing all five boroughs of NYC, Westchester, Rockland and Putnam Counties, Connecticut and New Jersey. For more information about Durante Rentals, visit www.DuranteRentals.com. For more information about our earth-moving equipment division, visit www.NYTakeuchi.com.